Mercury is the innermost of the eight planets in the Solar System. It is also the smallest, and its orbit has the highest eccentricity of the eight. It orbits the Sun once in about 88 Earth days, completing three rotations about its axis for every two orbits. It has the smallest axial tilt of the Solar System planets. 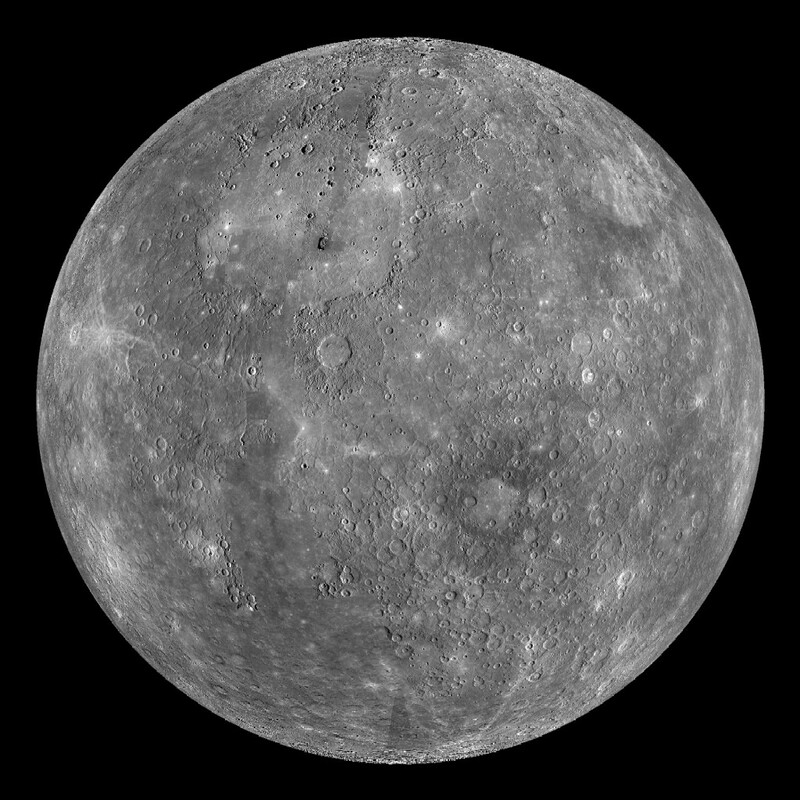 Mercury has a large iron core, which generates a magnetic field and is heavily cratered with regions of smooth plains.